Christophe Mirande has been working in the Montmartre area of Paris for the last fifteen years. Christophe who started out as a writer decided in 2005 to follow in the footsteps of his father Raymond MIRANDE a well-known enameller. Christophe decided to develop his own technique for enameling on copper surfaces. To do this he learned from some of the best known names in this technique like Jean-Claude Bessette, Marie-Thérèse Masias and Charles Hair. 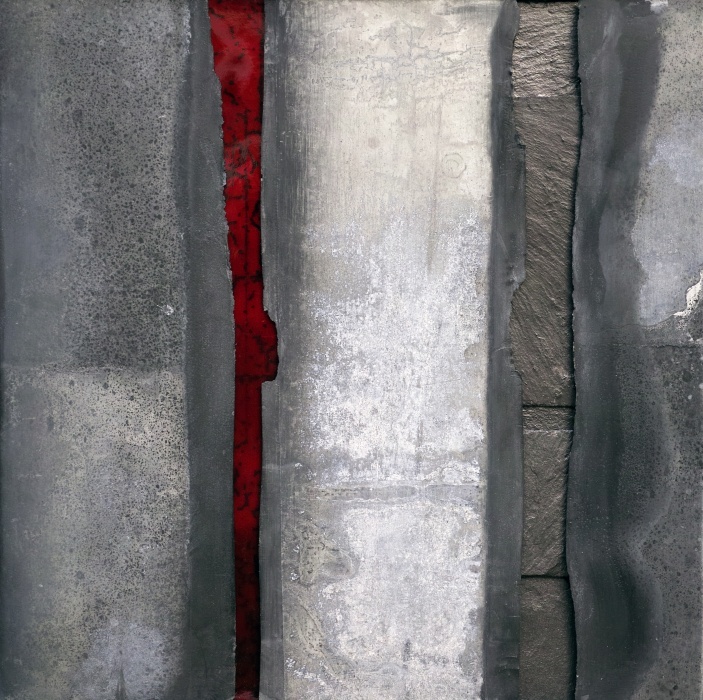 His influences in pictorial art are Pierre Soulages, Mark Rothko and Nicolas de Staël. His creative style is based on the idea that the world’s fragile and ephemeral beauty needs to be constantly rediscovered. The beauty of this world can be observed through its energies and the life which results. Discovering this material is to discover the deepest meaning of one’s self. Christophe MIRANDE tries to go beyond first appearances and impressions. I like to strip down my work to a minimum to get nuanced coloring or reflections that captures one’s attention. The materials I use suddenly come to life capturing a sudden ray of light, or quick movement that gives a glimpse of the energy embodied inside it. It’s almost as if the materials reveal their mysterious energy without you noticing it when you first look at the surface. Just like silversmiths and jewelers, Christophe MIRANDE uses enamel on copper because of its ability to give an extraordinary transparency like a stain glassed window. 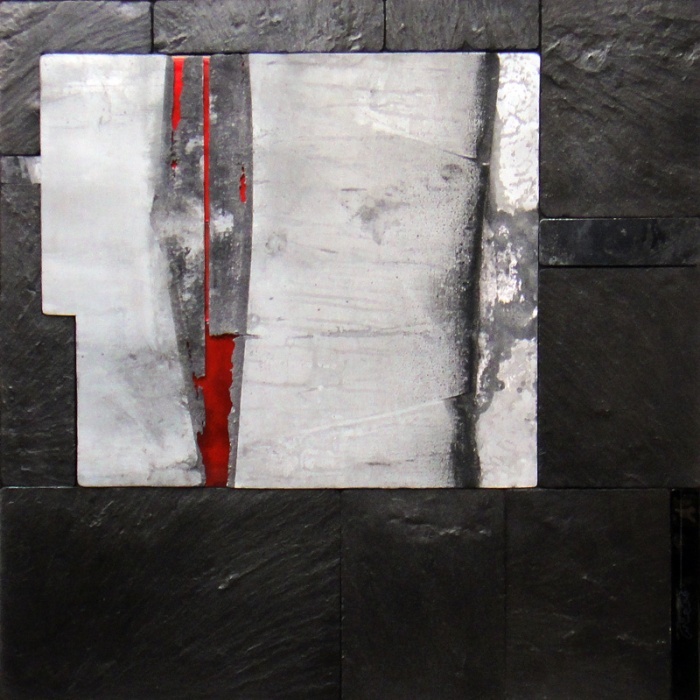 He also works his enamel with a variety of materials such as slate and zinc. This gives an avant-garde look to his work which still uses traditional techniques. 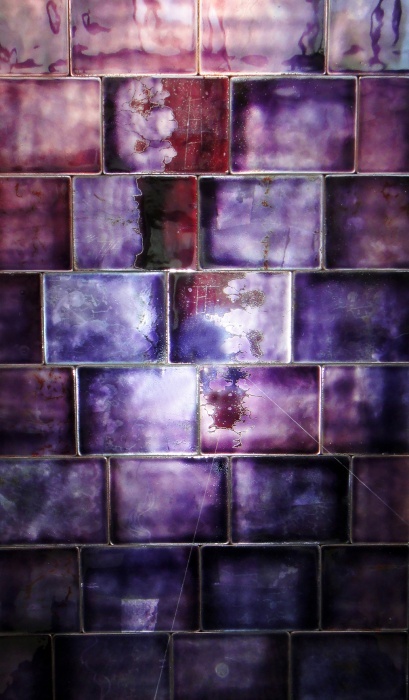 It’s the light which produces different textures to the metal or slate with its smooth and rugged, matt or gloss surfaces. 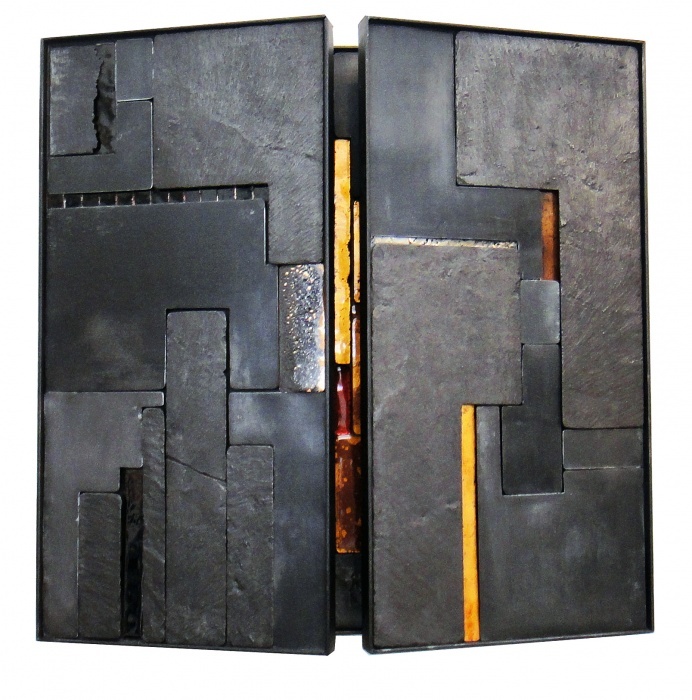 It highlights the hidden aspects embedded in the work such as copper etchings, oxidations, subtle color tones.